Queen Creek is known for its beautiful, well-manicured parks, including Desert Mountain Park and Founders&apos; Park. There are also miles of trails in the area that provide safe travel by foot, bicycle or horseback through the Queen Creek and Sonoqui washes and San Tan Mountains. 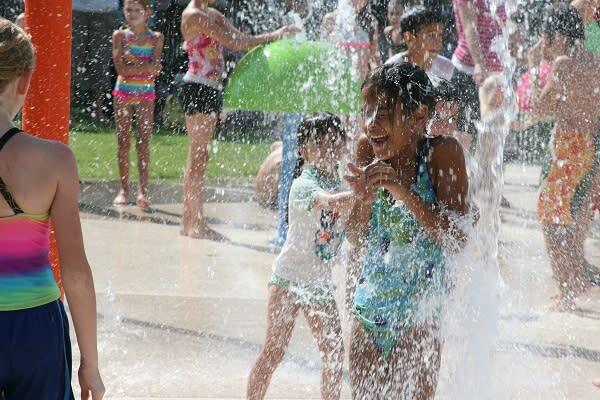 And don&apos;t miss the new 4,100-square-foot splash pad right in the heart of Town Center! Test your hiking skills on one of the many trails through San Tan Regional Park or join the park rangers to find scorpions, desert animals, or even meteors on one of their guided tours. Whether you’re riding like the wind on horseback, or riding with the wind in a Rainbow Ryders hot air balloon, Queen Creek has exciting options available for the entire family to enjoy! Queen Creek Sonoqui Wash – Visitors can stay active and plan a scenic stroll along the Queen Creek Sonoqui Wash Trail. The 3.5-mile pathway carves through the Town of Queen Creek and is popular for horseback riding, roller blading, power walking and is often used as a thoroughfare by the local cycling community. On the Sonoqui Wash Trail, you’ll weave in and out of the rural desert setting as you take in the natural landscapes and scenery. Desert Mountain Park – With two sand volleyball courts, two lighted basketball courts, an equestrian staging area and access to the popular Queen Creek Sonoqui Wash Trail, Desert Mountain Park is the perfect spot to plan a picnic or get active on your vacation. For the kids, there are two playgrounds (one designed for 2-5 year olds, one designed for 5-12 year olds) and sports fields for them to burn off energy, with plenty of benches and shaded ramadas throughout the park. Founders’ Park – In the heart of Queen Creek is Founders’ Park, a uniquely-crafted 11.5 acre park with a softball field, basketball courts, lighted skate park, horseshoe pits, community center and shaded picnic tables. 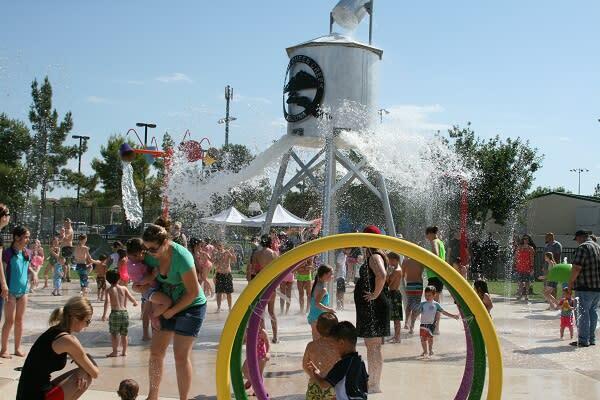 The 4,000-square-foot splash pad provides kids of all ages with cool water fun and enjoyment from March to October!